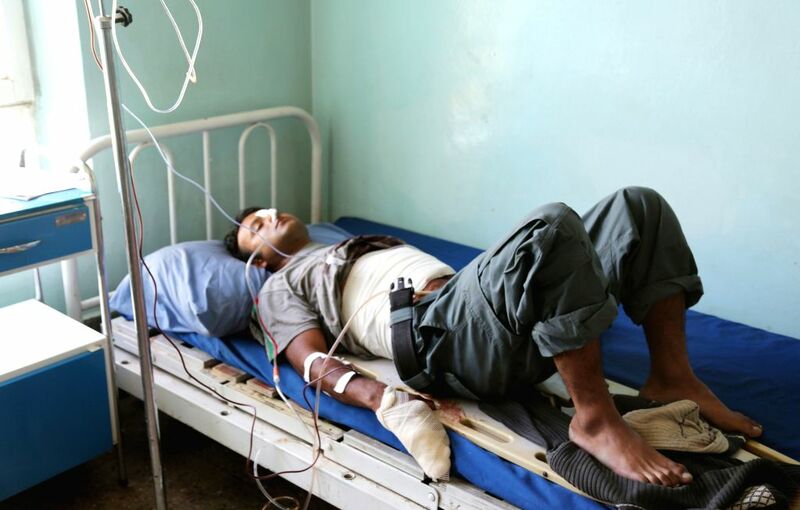 GHAZNI, May 12, 2014 - An Afghan wounded policeman receives medical treatment at a hospital in eastern Ghazni province of Afghanistan on May 12, 2014. Earlier on Monday, more than 300 Taliban, including foreign militants, raided army and police security checkpoints in eastern Ghazni province, leaving three people killed and 10 others wounded. The gunfight was continuing there, a defense ministry official said. 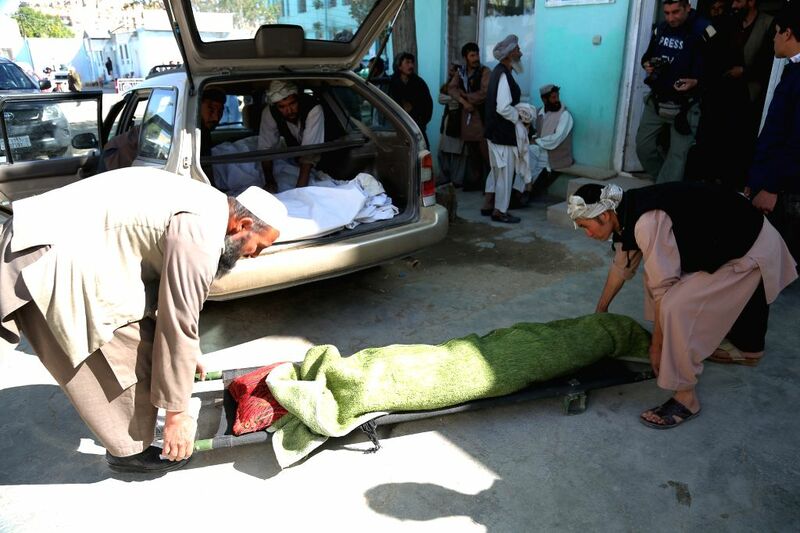 Afghans carry a dead body into a vehicle after Taliban attack in eastern Ghazni province of Afghanistan on May 12, 2014.